​This camp is brought to you by Tri Monsters Coach Laura and BPR Coach Luke. 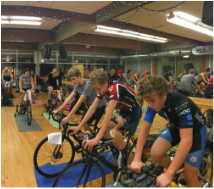 The focus of this camp is to bring the junior triathletes from the interior of BC together to train, learn, and inspire each other. ​As well as, benefit from the combine knowledge and resources of the Tri Monsters and Balance Point Racing Clubs. If you need accommodations in Vernon, please take advantage of the group rate we have at the Vernon Lodge. It's $79/night if you book before December 7th. If you have a heart rate monitor, bring it! 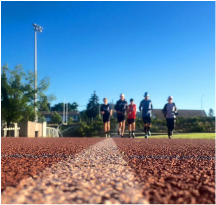 8:00-9:15 Goal Setting – for the practice/season/race, focus planning & visualization practice. 11:30-12:45 Run – drills and form + 1 mile benchmark run. 12:45-1:30 snack break – ready to ride in the snow! 1:30-4:00 Fat Bikes at Silver Star! On snow 2:00-3:30. 9:30-11:30 on bike 3 stations of 40 min each. After this date, prices and conditions are subject to change. If you decide to cancel your trip, you will be refunded in full up to December 7th. No refunds will be provided after December 7th.